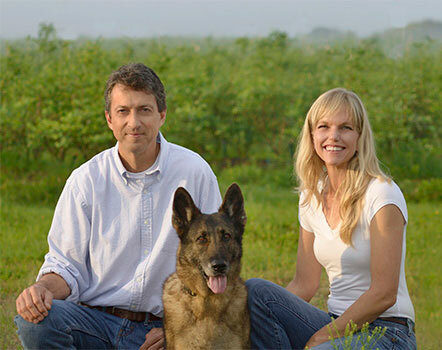 Hugh Kent, his fiancee & partner in King Grove Farm Lisa Munsch with their dog Elka. Hugh Kent brings an insider’s passion and an outsider’s discerning eye to the changing landscape of Lake County Florida. Although he grew up and spent his early adult life in the Northeast, summers often found him on a citrus farm, in the center of the county on a citrus farm that had been in his family for generations. Hugh was devastated when his parents decided to put King Grove Farm—established by John King in 1874 and one of the first orange groves in the state—on the market in 2004. “This was a fourth generation family farm and very important to my extended family,” explains Hugh, a lawyer by training. “We all knew each other because of this place and I was heartbroken that it was going to be sold.” Hugh went into debt to purchase the farm and keep it in the Kent family. His immediate goal was to sell off a portion to a developer to repay his bank loans; his longer-term plan was to figure out how to make a living as a farmer on the remaining land.Hugh didn’t have in mind the typical slash-and-burn residential development that was increasingly the norm in Central Florida. He wanted instead to design a proof of concept that would showcase a different, thoughtful kind of development that preserved as much as possible of the land in its natural state, asking buyers to pay a premium for smaller lots in exchange for leaving some land in the development undisturbed. He hired Randall Arendt, a nationally renowned landscape architect and advocate of conservation planning, to design a subdivision that could be a model for others in Florida. Arendt’s conservation design model was adapted from the golf course development, minus the golf course. “As it turns out a lot of people who buy in golf course developments don’t play golf,” Hugh explains. “They appreciate the open space and greenery around them. Randall’s idea was to leave the greenery in its natural state. "This could not be a project suitable only for “well-heeled visionaries”— for two reasons. First, I am not a well-heeled visionary. Second, I was determined to demonstrate Randall’s primary message; that developers can actually make MORE money by developing land this way." He needed to borrow additional funds for the engineered drawings and other soft costs that would enable him to say to a prospective developer: “this is what you can buy, you have to build it this way.” It was at that point that he approached Ken LaRoe, then CEO of Florida Choice Bank. As it turned out Ken had grown up just down the road from King Grove and confessed to Hugh that he had poached squirrels on the property as a child. “To interest him in lending to me, I decided to invite him to take a walk with me around the lake that sits on the farm, what is essentially a little self-contained ecosystem,” Hugh recalls. “I picked the right day and right time of day. It was a perfect morning. We were down there with the sun coming up and the fog coming off the lake and a flock of wood storks flew by. They are a beautiful bird and they just circled around and landed on the other side of the lake. Hugh succeeded in securing the loan from Florida Choice but even with his engineered plans in hand, he realized it would be an uphill struggle to get the required permits. He then began to think bigger, about trying to embed Arendt’s conservation development vision into the local planning process; to get the codes written so that it was not only allowed but actually encouraged. Ken LaRoe, himself a self-proclaimed avid environmentalist, joined Hugh and a few other like-minded individuals to launch an effort to reform the zoning codes in the city of Eustis. In 2007 they succeeded in getting the city commission to adopt a zoning code that was widely touted as a model for the state of Florida. Hugh never did sell his property for a conservation development but in 2008 he achieved the next best thing. In 1999 then Governor Jeb Bush had signed into law the Florida Forever Act, committing $3 billion in state funds to acquire recreational land and waterways. It was again Ken LaRoe, working with The Trust For Public Land, and other local conservationists, who helped pass a referendum that gave Lake County access to a portion of those funds. “Ken went out on a limb socially and professionally for that referendum,” Hugh maintains. “He did it as a banker in a community where a lot of people’s bread is buttered by unfettered housing development, that triumvirate of realtors, other bankers, and developers who usually quietly or overtly support the Florida development status quo. It took a lot of guts.” Ultimately a bond referendum was passed by Lake County that raised $36 million through a property tax increase. The ballot measure passed by an overwhelming majority, “unheard of” in Central Florida, Hugh reports. His King Grove parcel was among the 20 or so purchased in a rigorous selection process that ensured that no favors were granted through special influence. With the proceeds from the conservation land sale Hugh paid off his debts and immediately began investing in his farming business. Following the fabled back-to-back freezes in Lake County in 1983 and 1985, citrus was no longer king in Lake County. Just as he had wished to design a model for residential development, Hugh now sought to create a model of organic blueberry farming that would be both profitable and restorative of the former citrus groves and the local aquifer that had been distressed by years of conventional monocrop farming. “I knew I couldn’t do this as a hobby and if it were to fail it was going to hurt a lot,” Hugh reports. “But I did want to show that you can farm a little bit differently in Florida with more consideration for the land and what else lives on it. To me, whether it is land development or agriculture, it is all about trying to reverse some of the needless damage we are causing to the natural world. In our human arrogance, we forget that we are dependent on our environment, and we pretend that it is the other way around. "To me, whether it is land development or agriculture, it is all about trying to reverse some of the needless damage we are causing to the natural world. In our human arrogance, we forget that we are dependent on our environment, and we pretend that it is the other way around." Once again he turned to Ken LaRoe, now CEO of First Green Bank, to help fund this experiment in agricultural land restoration. “I guess he identified with my wanting to go beyond my little life circumstances to do this,” says Hugh. Hugh secured a loan for just over a million dollars for everything related to starting the farm—including tractors, equipment, high-tech irrigation, and 28,000 tiny blueberry plants. Prior to planting the blueberries, Hugh spent two years preparing and restoring the remainder of the farm. 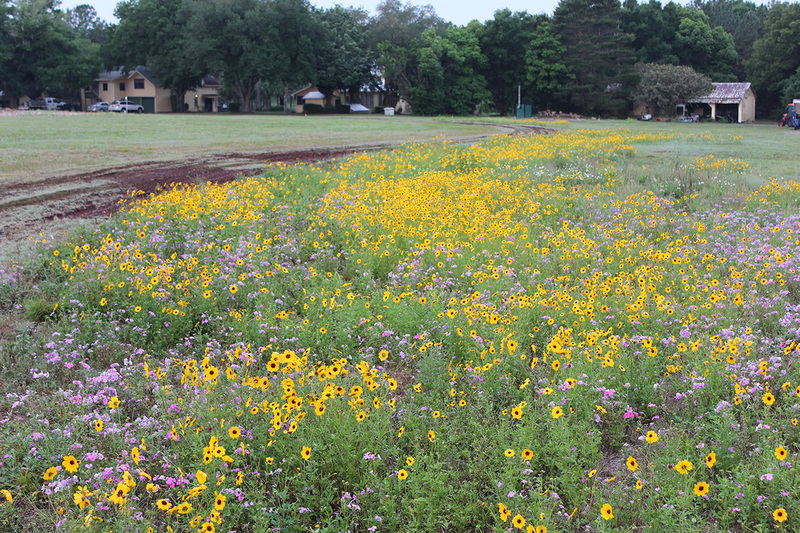 With the help of a USDA forester, he prepared and implemented a land stewardship plan that included a detailed management strategy for the all of the different parcels of land that make up the farm. The old growth woods on the farm were selectively logged to remove invasive species, diseased orange groves were removed to make way for wildflower and pine tree plantings, and both upland and wetland habitats were improved for wildlife. 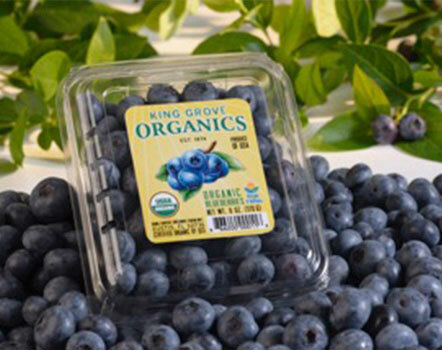 Use of conventional agrichemicals were suspended and the land was ultimately certified by the USDA as suitable for organic agriculture. 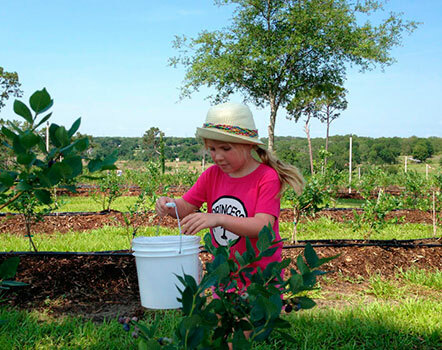 The farm is now 20 acres of blueberry fields, 20 acres of orange groves, and 150 acres of pine plantations, wildflower plantings, old growth woods and protected wetlands. Lisa Munsch, a wildlife biologist and Hugh's future wife, now co-manages the property with him. For the moment Hugh is staying focused on what he can control—the land that he lives on and that he farms. “I want to do a decent job of balancing agriculture and land stewardship,” he says.